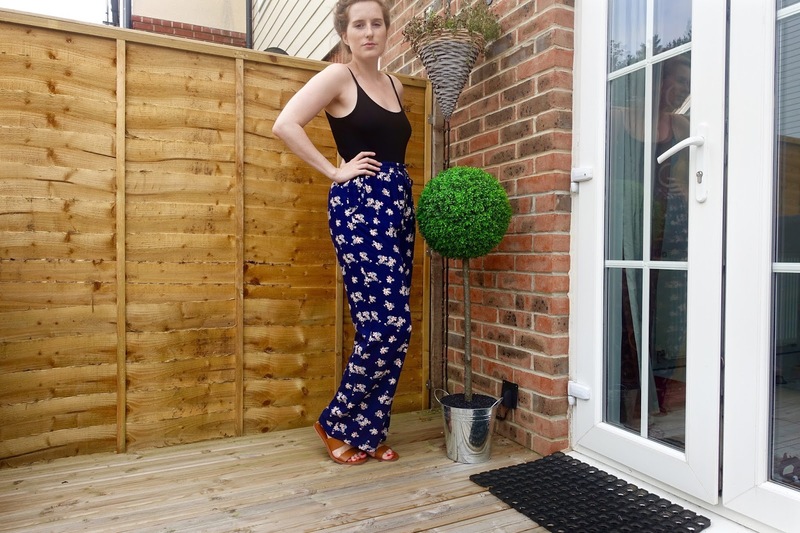 I've been dying to get my hands on a pair of floral palazzo pants, especially a pair that didn't make me look hideously wide. 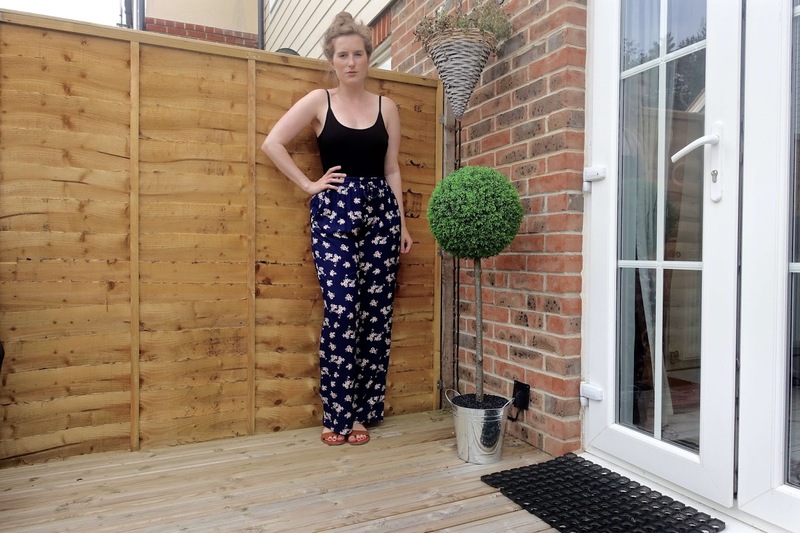 These are the perfect design for my shape, highlighting my waist and flaring out on the hips. 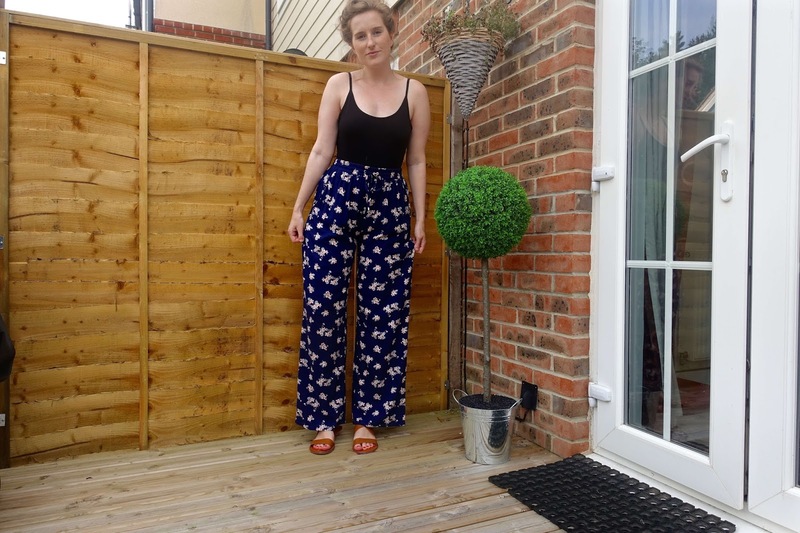 I'm all about rocking the palazzo pants this summer and New Look definitely have me covered when it comes to wide-legged trousers (luckily minus the wide-legs!). Talk of the town is that loose tailoring is the new season essential, so I can work this look comfortably, while staying perfectly on trend! 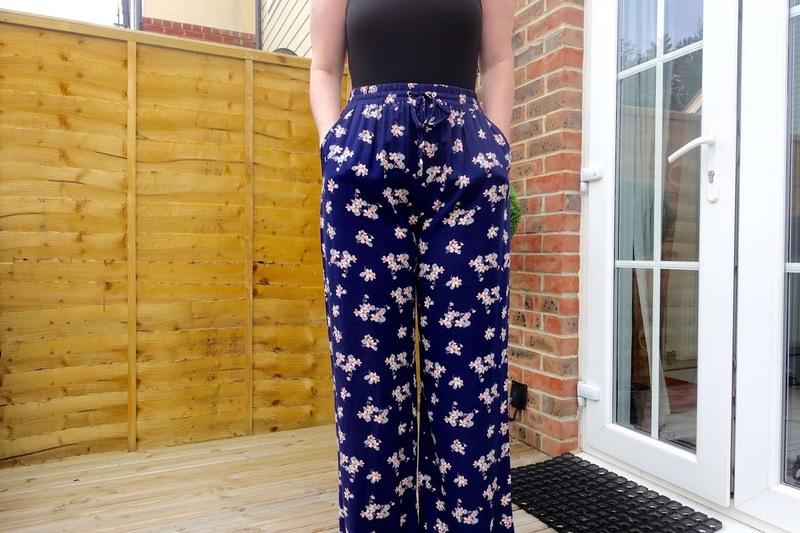 I feel like I'm channeling a hippy, 70s vibe with these bold print floral wide-legged trousers, I love the fact I can wear my chunky cross-over sandals with these and the trousers are still long enough in length to sit nicely on top without rising up too short. As you probably already know I'm heading to South Africa in two weeks (my god!) which will be during their winter, so its going to be warm during the day in the mid-twenties, however at night the temperature is known to plummet to as low as 5 degrees and of course, the early morning game drives while in Kruger Park will be pretty chilly. Brrr, its got me cold just thinking about it. I can tell this holiday is going to be an awkward one to pack for. I've got to consider all bases, so bikini's plus my warmest fleece and hat and scarf? Mad! Of course, its going to be essential that I pack a range of clothing options for this holiday and loose fitted, long trousers are definitely on my checklist. 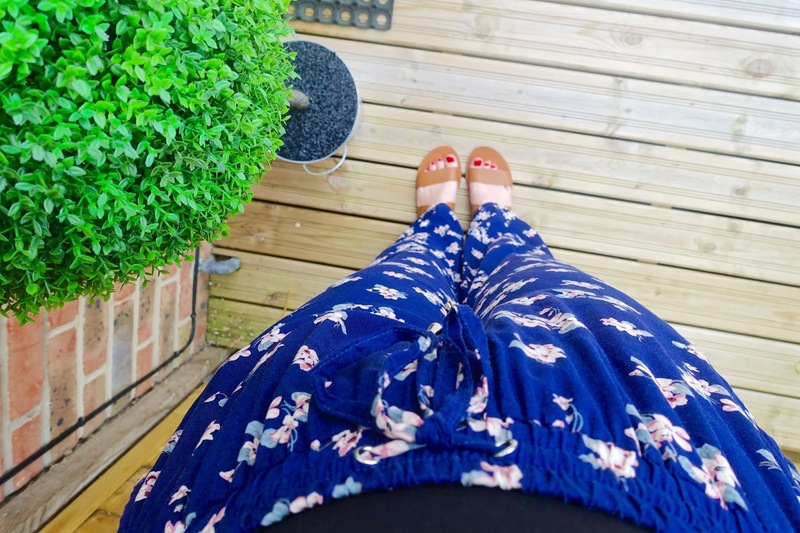 They will be perfect for the chiller evenings when out for dinner and loose-fitted trousers are recommended on an evening to keep pesky mosquitos at bay. 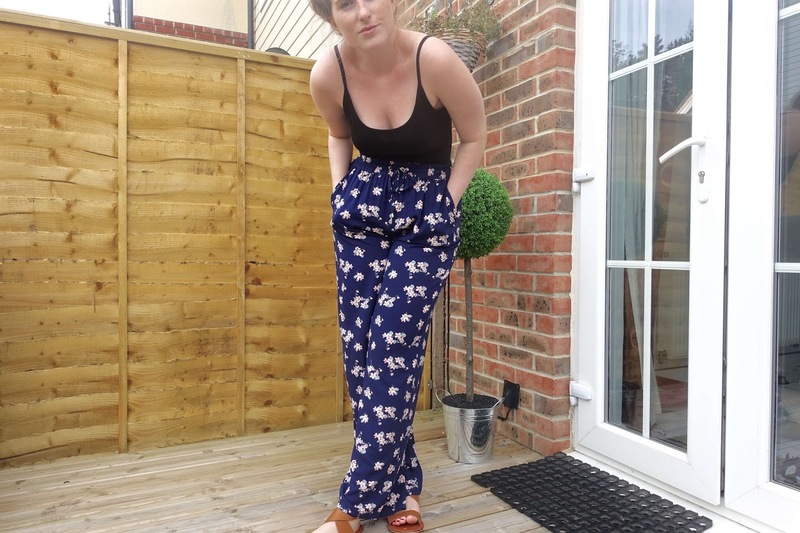 What's even better is these floral wide-legged palazzo pants are currently in the sale for £10! Cute outfit! I LOVE your pants, they are gorgeous! You have styled them perfectly!